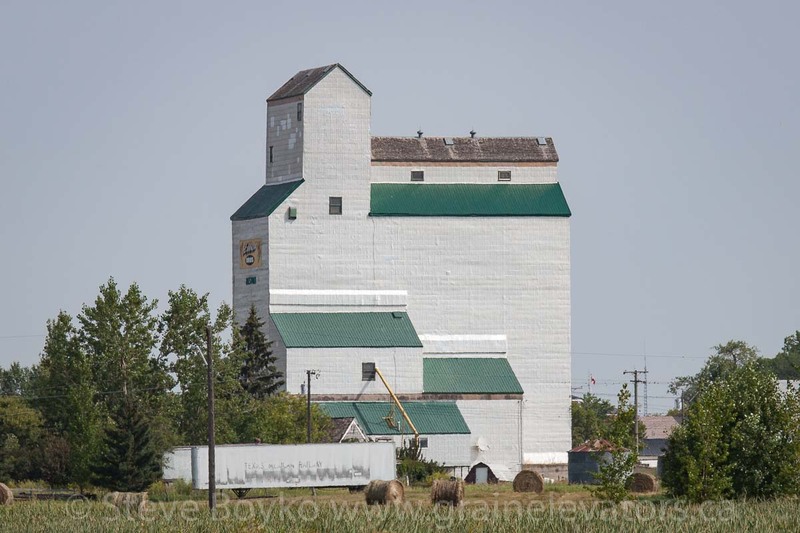 Reston, MB grain elevator, Aug 2014. Contributed by Steve Boyko. The Reston grain elevator is a former Manitoba Pool elevator and annex, now privately owned. 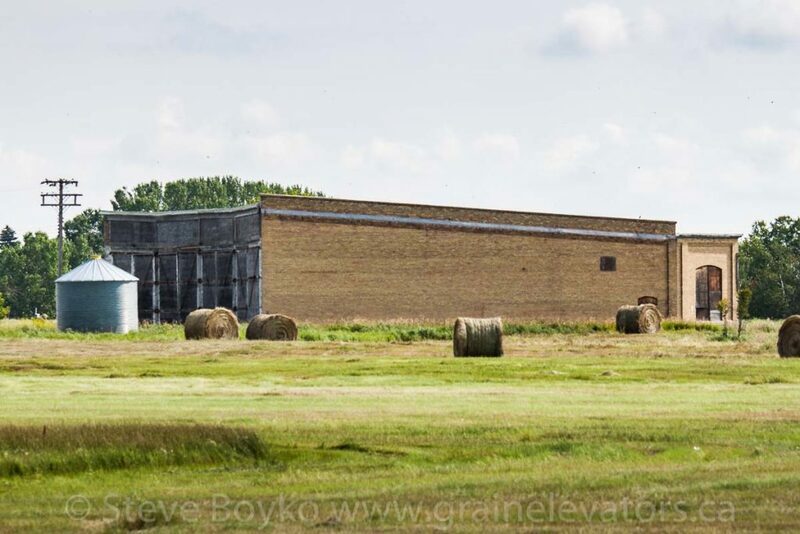 This elevator has a capacity of 4,130 tonnes and was located on the CP Arcola subdivision, which has been abandoned. The elevator is owned by the Elliott Brothers. 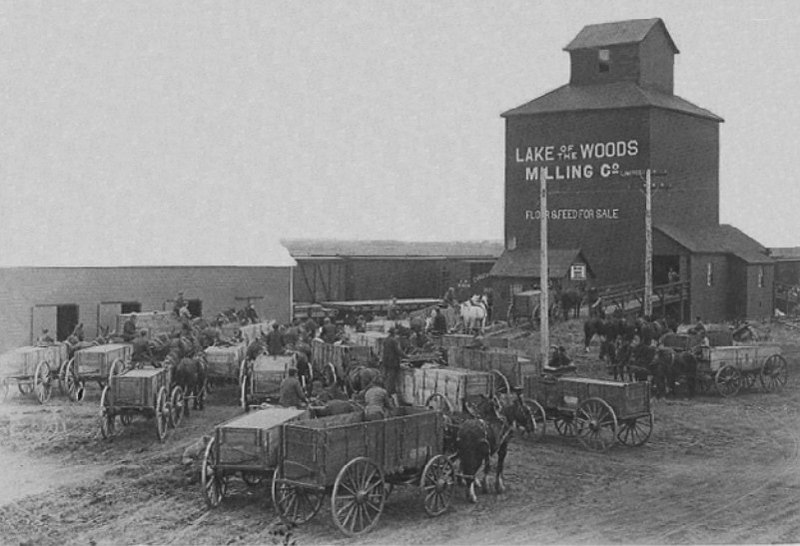 Reston, MB grain elevators, 1907. UGG, with a capacity of 2,700 tonnes. It apparently came down after the year 2000. Lake of the Woods grain elevator, Reston. 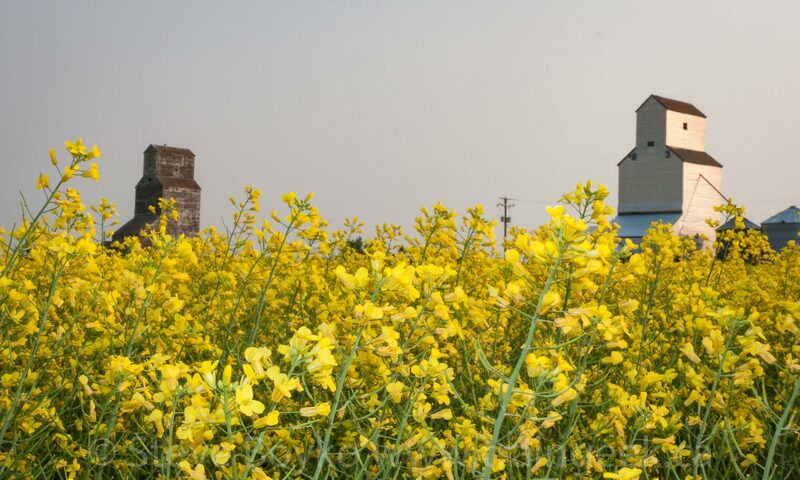 The town of Reston also features one of the few railway roundhouses remaining in Manitoba. This roundhouse is now privately owned and is apparently used for storage. 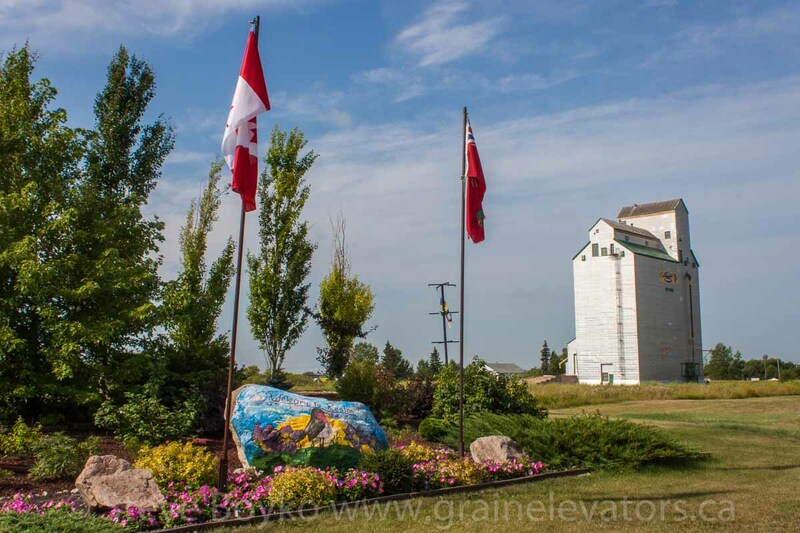 Railway roundhouse in Reston, MB, Aug 2014. Contributed by Steve Boyko. 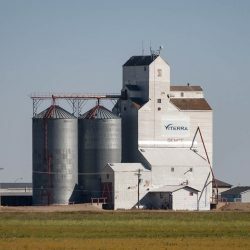 Reston was one end of the CP Reston subdivision, which extended 122.4 miles west to Wolseley, Saskatchewan. This light branch line, consisting of a lot of 56 pound rail, was abandoned in 1961, not many decades after it first opened for service in late 1906. The Reston subdivision joined the Arcola subdivision just west of the grain elevator on a wye, and the roadbed is still visible from satellite images, heading northwest out of town.